“WOW” Did you see how far that rock went? asked one child. “I did bro, I saw it!” said another child. High fives and smiles followed. I often take my children and friends to a local park for rock throwing, climbing, jumping, scaling and running. More than anything, they seem to do whole lot of laughing. When we come home from these long afternoons outside, all the children, despite being understandably tired, are incredibly engaged in conversation and cooperative with cooking dinner and setting the table. 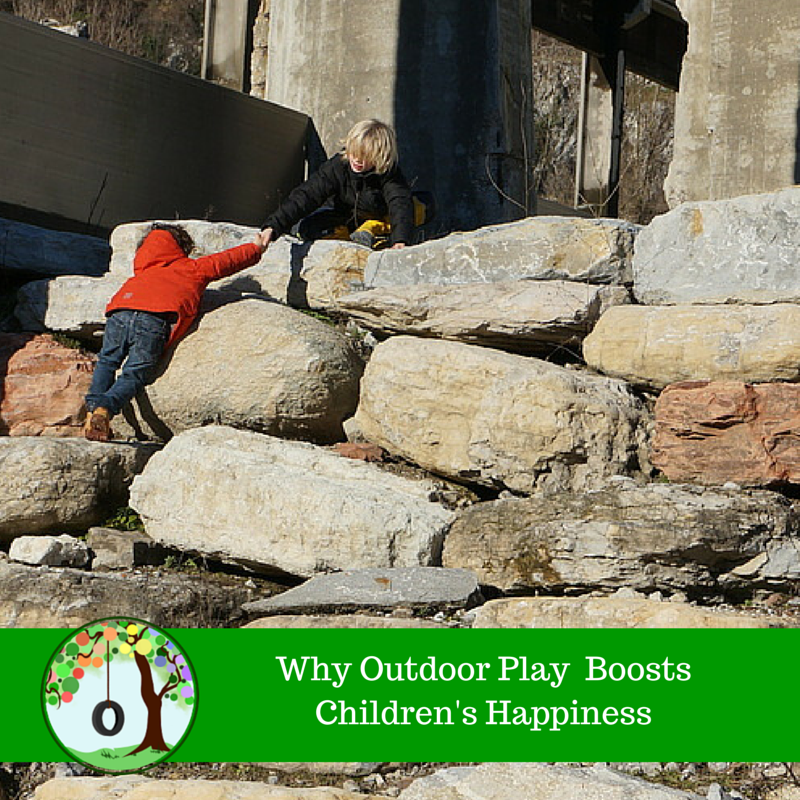 Why does outdoor play boost their happiness and willingness to cooperate? At the park my children get to do loads of exploring, risk taking and learning. They are free to direct their own play. They get to make decisions, choices and take charge. Outdoor play is most often associated with physical health and development. It is also commonly referred to as active play because when children are outdoors they automatically seem to know it’s the right place to engage with nature with their whole body. 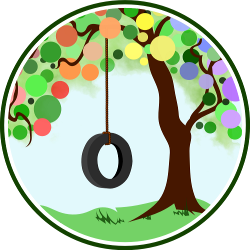 Notice at any playground or park that children will happily and without prompting look for opportunities to climb, spin, lift, chase and run. Playing outdoors is excellent physical activity, but really it is a fundamentally important aspect of growing well and happy. Moving in open, unrestricted spaces offers children the opportunity to explore their environment, activate motor skills, develop spatial and body awareness, practice flexibility and risk taking. Team work and cooperation can emerge very quickly in nature as well. All these combined means that outdoor play is fantastic way to boost happiness, self-confidence and practice social – emotional skills. Children’s basic needs to belong, to learn, to create all get refueled when playing outdoors. There are many studies that have examined the positive outcomes of children that spend time playing outdoors. Collectively, the studies show that children that engage in outdoor play tend to be calmer, have fewer learning difficulties, are engaged in their learning, feel happier, sleep better, and have increased social-emotional skills. Making outdoor play part of your weekly if not daily activities is very important. Children can learn a great deal from interacting with one another, especially when in nature. The outdoors can also provide much needed space for bigger, louder, excited behaviors that are often not ok inside the house. Beyond the regular benefits of outdoor play, being outside can also lead to more cooperation and a sense of well being. If you find your child is having difficulties concentrating, seems irritable, having frequent squabbles with siblings, peers or generally not being cooperative, I highly recommend building in more outdoor play time. Additionally, finding a way to reconnect with your child outdoors can boost your relationship as well. Get out for a bike ride, find a pond to skip rocks, dig in sand, walk through quiet trails. Even if it is very cold or rainy, challenge each other to have a short, brisk five minute walk or race outdoors and follow up with a warm cup of cocoa or tea or a fun splash in a warm tub. So what is your child’s favorite outdoor activity? I love his article and everything it stands for. What if you have a child that dislikes playing outdoors and only wants to stay in?? I have a 2.5 year old and I’d love to be outside all day and she’s the opposite! It’s like pulling teeth! Hi Jenny, I wonder if you can try doing some typical indoor activities outdoors? Could you take a blanket outside and do some puzzles or read board books on it? Throwing leaves in the air in the fall, searching for rocks or some simple water play can also be quite fun for 2.5 year olds. Another point to reflect on is how you are transitioning from indoors to outdoors…Is it rushed or calm…does your little one get to take some time to put on shoes, find a toy to take along etc…the more the transition can be a calm activity of its own, the more young children are able to follow along. Hope that helps.